Artist Liz Clayton Fuller. Image courtesy of the artist. Thanks to the marvel that is Instagram, artist careers are taking off and charming viewers with images of both creativity and the romance of the artist's life. I pay attention to those artists--especially women--whose subjects are birds and nature. The artists behind these fascinating images are as bright and beautiful as the art they create, and they are continuing a long tradition of both art and nature advocacy--two things dear to me and part of my own legacy as the child of an artist for nature. Liz Clayton Fuller is already an accomplished scientific illustrator and fine artist and still only in her mid-20s. As to that afore-mentioned Instagram, she is a sensation there, with over 14 thousand followers. It was only inevitable that we cross paths, as she knows Alex Warnick and Jane Kim (the latter whom she met at Cornell University while on an internship)--both artists featured earlier on this blog. All young female artists for nature seem to meet eventually! It is a supportive and welcoming sorority, both to fellow artists, and art appreciators like me. 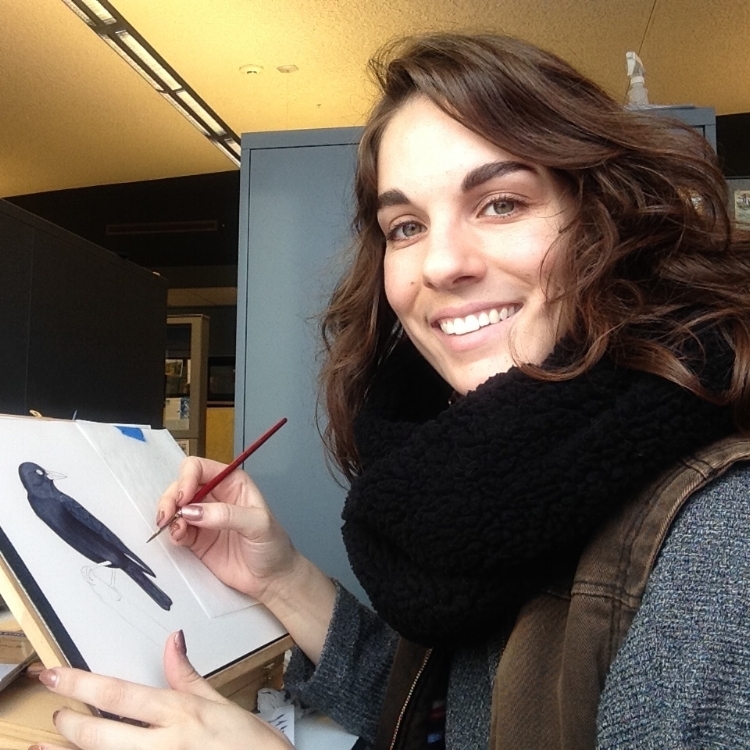 Liz currently resides in Seattle, where she and her fiance Zach have lived since arriving here several years ago for Liz to attend the scientific illustration certification course at the University of Washington. I sat down with her over coffee recently to learn about her path as artist for nature and where she is headed next. How did you become interested in birds and nature? 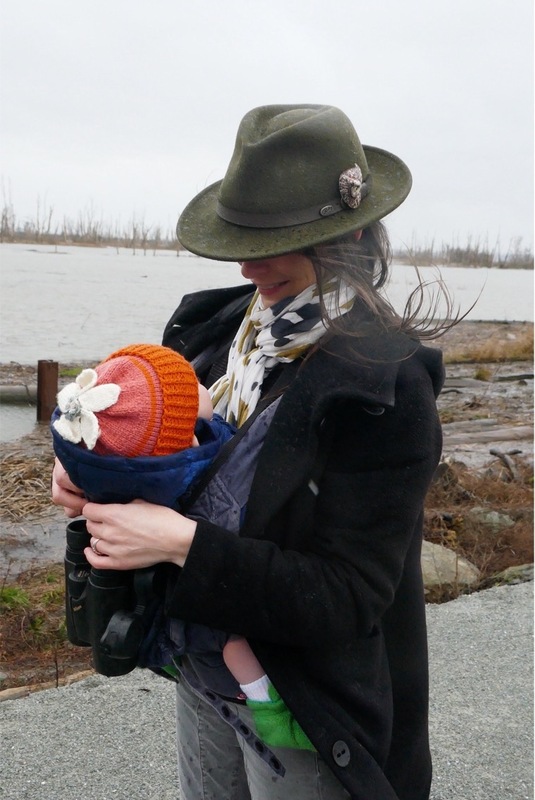 Liz Clayton Fuller: I always loved nature growing up (in Nashville), although no one in my family is a birder. As an undergrad at Savannah College of Art and Design, I studied art, but nothing felt right or personal until I took a scientific illustration class. The class was mind opening; all my previous classes had been whimsical. This realism (of scientific illustration) really spoke to me. I then picked up a massive bird book and just started painting and drawing them. It’s this backward process--I got into birds by drawing them! I like using the skill I have to make sure people know what is going on with nature. I have a lot of ideas simmering now, in light of recent political events. Environmental art will be more important than ever. Warbler hybrids. Courtesy Liz Clayton Fuller. Describe your evolution as an artist for nature. LCF: After I graduated college, I came to Seattle to attend the University of Washington’s certification program in Scientific Illustration. 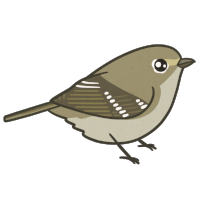 Following that program, I served a seven-month Bartel’s Scientific Illustration internship at Cornell University’s Lab of Ornithology in Ithaca, NY. It is there that I developed most of my scientific illustration work. I created art for the citizen science program and the Lab’s promotional materials, as well as illustrated papers by post-doctorate students. I also taught a beginner class in field sketching and scientific illustration to undergrads. Some of these students had never been in the woods! The class I taught was supplemental to the evolutionary biology course they were on, which also included a class on writing about being in the field. I was there to facilitate sketching and techniques to the students. And in using the art and writing tools with them, it was incredible to watch them engage so deeply with this new world opening up to them. This class you taught had a special element to it, as well! LCF: The field drawing class included a trip to the Galapagos! The birds in the Galapagos have no fear of humans, and were easy to draw. I had to remind my students that field sketching is not usually so easy! In fact, I’m returning to Cornell this spring to teach that same class and trip to the Galapagos. It’s insane I get to do this as an artist. But if anyone wants me to travel and teach at the same time, that’s wonderful! The results of student work in the field drawing class taught by Liz. Image courtesy of the artist. What did your time at Cornell provide you as an artist? LCF: Cornell has been huge for me as far as making connections for freelance work in scientific illustration. There is demand for illustration work; people wanting an illustration that provides more than a photo for enhancing written work. Example of work done for Cornell Lab. Image courtesy of the artist. At the same time, I also have a fine art practice. I want to do fine art, environmental art, field guides, as well as art instruction in the classroom and on field trips. You mention a varied artistic output. How are these practices different, for instance, fine art work compared to scientific illustration work? LCF: They are so different! When you’re illustrating for a paper, it’s very exacting and goes through many edits and changes. It’s a rewarding but heavy process. It can be a little crushing bearing the weight in the eyes of the expert (the paper’s author and researcher), who’s studied the bird for 30 years! Images of White-throated sparrow for a scientific paper. Image courtesy of the artist. To give you an example, even with access to Cornell’s huge collection of study skins and submitted photographs of birds, I have a cautionary tale to share. I was working on a sketch for a White-throated sparrow and using the Lab’s collection of skins very closely for reference. I had the sketch all finished and thought I had nailed it! I took it to a colleague to double check for realism and plumage. “They look dead,” she said. “Were you sketching from skins?” She saw right through it. I ended up using a YouTube video of a live bird, and referencing the skins just for plumage after that. Lesson learned! Drawing a White-throated sparrow from a study skin. Image courtesy of the artist. Dead (L) versus alive (R) White-throated sparrow sketches. Image courtesy of the artist. To balance the weight of this kind of work, I do artwork of birds that is more personal, for the emotional connection I have to the subject. I just paint it, and do not edit myself. It’s cathartic, a nice departure and it keeps me balanced. This latter work is the kind I take to shows and art festivals. Progress on Black-chinned hummingbird. Image courtesy of the artist. How much do you draw from life versus from reference materials? LCF: In my mind, these are completely different art practices. When I am working on a composed watercolor piece I set out to take reference photos and observe subjects in the wild, then I return to the studio to realize the painting from my references. Field sketching is a totally different animal. I love to field sketch when I want to relax, capture a moment, and practice the ritual of making art. It is not for any purpose other than staying present; it does not inform my more refined paintings. It is more casual and I don't put pressure on myself to make a perfect piece. Perhaps one day these two practices will merge in my process, but for now I am happy to keep them separate and have field sketching be a respite from the other work that I do. Example of botanical work. Three mushrooms. Image courtesy of the artist. LCF: After I complete the Cornell teaching trip, Zach and I will be (leaving Seattle and) moving back to Nashville to be closer to family. And I’m ready to start getting back into art shows and festivals. Because of my erratic schedule recently with school and internship, I haven’t done as many of them, but I’ve been participating in shows since I was 22. Every time I do a show, I learn what to bring and what not to bring; for instance, it’s hard to sell large, original work. Small pieces and prints are my bread and butter at these shows. Anna's hummingbird, personal work. Image courtesy of the artist. I want to have time to focus on producing art, and supplement it with teaching. I love working with kids, and feel art is a good way to engage young people with birding. I’d love to take a stab at the Duck Stamp, and someday do the Birds in Art show in Wausau, WI; both are very prestigious. And eventually I’d like gallery representation. Follow Liz at her website or her Instagram. She also has an online shop at Society6. Interview conducted in person, December, 2016. The content has been edited and condensed for clarity.